Municipal debt investors are bracing for a downgrade to Illinois’ credit rating in the wake of a state Supreme Court ruling last week that rolled back the state’s 2013 pension cuts. Two ratings agencies – S&P and Moody’s – noted the possibility of future downgrades last week as the state now needs to grapple with its pension costs in a different way. Illinois’ 2033 bond rose as much as 16 basis points higher to 5.47 per cent on Monday, according to Bloomberg pricing in the wake of the state’s Supreme Court unanimously ruling against a pension reform package passed in 2013. Illinois sought to reduce its pension liability by $21bn by tweaking some of its benefit provisions, but that was deemed as breaking the state’s constitution said the court. 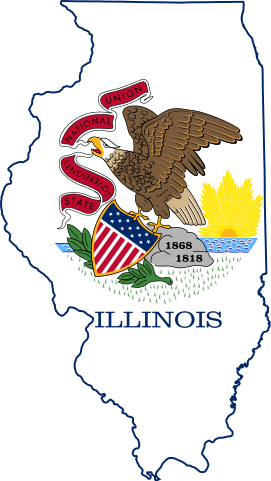 Standard & Poor’s last week put the Illinois on “CreditWatch with negative implications,” and Moody’s published a bearish note on the fiscally challenged US state. “Although our rating on the state had assumed these measures would not be implemented, rejection of the pension benefit legislation puts the state under increased pressure to devise a way to pay for liabilities created through decades of insufficient contributions,” Moody’s said in the report. None of the three major ratings agencies have so far issued downgrades or changes in outlook.